All of our cakes are round with two layers, and one tone of icing in a basic swirl pattern. They come in either 6″ (serves up to 8 people) or 8″ (serves up to 12 people). We do not decorate or write on our cakes. 48 hours notice is required to order a cake so the Bakery staff have sufficient time to bake, chill and ice the cake. When ordering please let us know the earliest time you would be picking up your cake so we can make sure it’s ready for you. 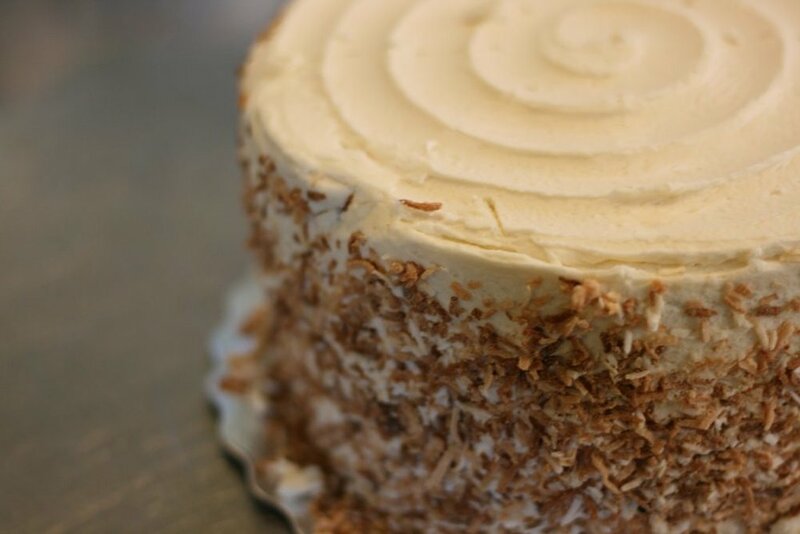 To order a cake, or if you have any questions about our baked goods, please call us at 519 827-0008. We require pre-payment for all cake orders. Currently we are offering the following flavours, however this is subject to change so please call to confirm! Call now to order a cake!